GODEFROY DE TONNANCOUR, LOUIS-JOSEPH, keeper of stores, king’s attorney, seigneur, and merchant; baptized 27 March 1712 at Trois-Rivières (Que. ), son of René Godefroy* de Tonnancour and Marguerite Ameau; d. 15 May 1784 at Trois-Rivières. 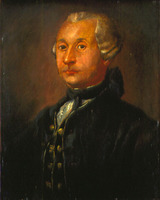 Louis-Joseph Godefroy de Tonnancour began to make his mark in the Trois-Rivières region in 1730, when the chief road commissioner (grand voyer), Jean-Eustache Lanoullier* de Boisclerc, chose him as his clerk. The following year he was entrusted with the duties of king’s storekeeper, a post he retained along with that of king’s attorney for the jurisdiction of Trois-Rivières which he received on 1 April 1740. He had also succeeded his father as apostolic syndic for the Recollets of Trois-Rivières in 1738. Godefroy de Tonnancour inherited from his father the seigneury of Pointe-du-Lac, on which he tried to build a village for nomadic Indians. Visiting Canada in 1752, the military engineer Louis Franquet* took note of this undertaking, indicating that it involved “houses all built alike and laid out in straight lines; there were already nine of them.” Five more fiefs were added to Godefroy de Tonnancour’s properties in the Trois-Rivières region – Labadie, Yamaska, Roquetaillade, Godefroy, and Île-Marie. In addition, Godefroy de Tonnancour achieved recognition as a merchant. Having been a supplier to the state in the 1740s, for shipbuilding among other things, he was one of three people granted a licence in 1760 for “sedentary trade” in Trois-Rivières and the surrounding area. About 1760 the Hotel-Dieu of Quebec borrowed 9,600 livres from him, and Bishop Pontbriand [Dubreil*] 9,000 livres. Godefroy de Tonnancour remained in Canada after the Seven Years’ War, and he continued to be active under the new régime. 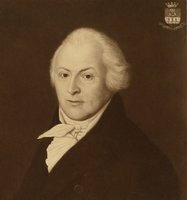 Thus, from 16 March to 30 April 1764 he sat as commissioner for the registration of Canada paper, along with Jean-Baptiste Perrault and René-Ovide Hertel de Rouville. He declared that he had over 150,000 livres of it in his own possession, more than any of his fellow merchants claimed; he lost a great deal of it at the time of the settlement of paper money by the king of France [see Alexandre-Robert Hillaire de La Rochette; Bernard Cardeneau*]. 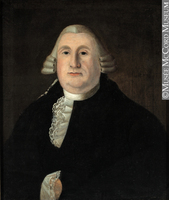 In March 1769 Governor Guy Carleton* recommended him as a member of the Legislative Council, but he was not appointed. 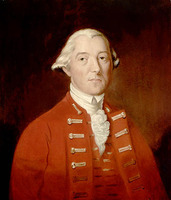 During the American invasion in 1775–76 [see Richard Montgomery] Godefroy de Tonnancour showed his loyalty to George III. Having been appointed a colonel of militia on 7 Sept. 1775, he tried to overcome the desire of the inhabitants of Trois-Rivières to remain neutral; in this effort he was aided by the notary Jean-Baptiste Badeaux. 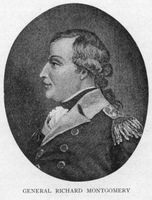 When the Americans occupied the town in February 1776, Godefroy de Tonnancour was the only militia officer who refused to hand over his commission, alleging that it was “something that belonged to him and formed part of his property.” In the face of the enemy’s intransigence, however, he had to give in. On 11 Feb. 1740 at Trois-Rivières Godefroy de Tonnancour had married a former captive of the Indians, Mary Scamen (Scammon), and they had four children. On 2 Nov. 1749 in Quebec he took as his second wife Louise Carrerot, daughter of André Carrerot*; the couple had 12 children. All his life Godefroy de Tonnancour maintained ties with the leading citizens of Trois-Rivières. 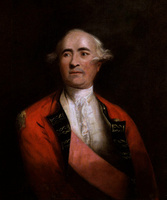 An important local figure, he was able to adapt to the change of régime and to win the good will of both Governor Haldimand and Bishop Briand. AN, Col., C11A, 57, pp.40–41 (PAC transcripts). ANQ-MBF, État civil, Catholiques, Immaculée-Conception (Trois-Rivières), 27 mars 1712, 11 févr. 1740, 17 mai 1784; Greffe de Paul Dielle, 26 mars 1766; Greffe de Jean Leproust, 15 mars, 3, 17 mai 1756; Greffe de Louis Pillard, 9 sept. 1749, 7 mars 1755, 15 mai 1764; Greffe de H.-O. Pressé, 11 févr. 1740. ANQ-Q, État civil, Catholiques, Notre-Dame de Québec, 2 nov. 1749; Greffe de Claude Barolet, 26 oct. 1749. [J.-B. Badeaux], “Journal des opérations de l’armée américaine, lors de l’invasion du Canada en 1775–76, par M. J. B. Badeaux, notaire de la ville des Trois-Rivières,” Revue canadienne (Montréal), VII (1870), 186–202, 267–76, 329–45. Le Jeune, Dictionnaire, II 721. P.-G. Roy, Inv. concessions, I, 154, 289; II, 48, 126, 254, 268; III, 147, 263–64; IV, 117; Inv. Procès-verbaux des grands voyers, V, 155–56. Tanguay, Dictionnaire, IV, 314. Coleman, New England captives, II, 147–48. Alexandre Dugré, La Pointe-du-Lac (Trois-Rivières, 1934). Jouve, Les franciscains et le Canada: aux Trois-Rivières. Cameron Nish, Les bourgeois-gentilshommes de la Nouvelle-France, 1729–1748 (Montréal et Paris, 1968), 58, 65–67, 113, 141, 147, 152, 178. 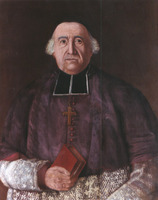 P.-G. Roy, La famille Godefroy de Tonnancour (Lévis, Qué., 1904), 50–51, 82. Sulte, Mélanges historiques (Malchelosse), II, 79; XI, 29; XVIII, 39, 58. M. Trudel, L’Église canadienne, II, 98, 270, 406; Le Régime militaire, 11–15, 18, 22, 25–27, 75, 120, 146. Frances Caissie, “GODEFROY DE TONNANCOUR, LOUIS-JOSEPH,” in Dictionary of Canadian Biography, vol. 4, University of Toronto/Université Laval, 2003–, accessed April 24, 2019, http://www.biographi.ca/en/bio/godefroy_de_tonnancour_louis_joseph_4E.html.